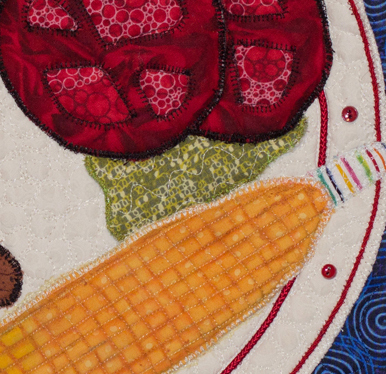 I received the good news that my piece Summer-Time Iowa-Style has been accepted into the “Whats for Dinner?” Exhibit that will debut this October at the International Quilt Festival in Houston. 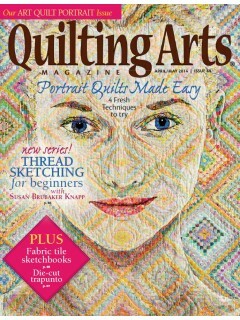 There will be 24 art quilts (all place-mat size) in the exhibit that will help answer that daily question. 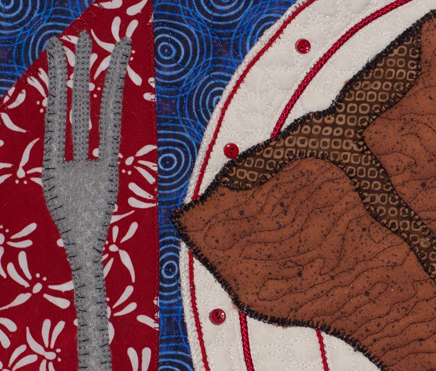 I am sure the exhibit will inspire many happy food memories for the viewers…..and maybe provoke a few growling stomachs. 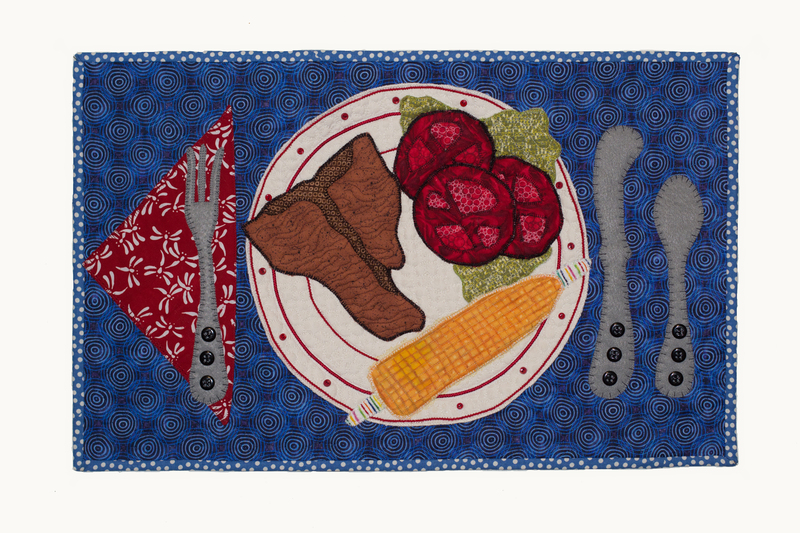 It was so much fun creating my Iowa dinner. My head was filled with memories of so many hot summer nights of my dad grilling t-bone steaks (grilling was his ONE cooking skill/the rest of our meals were created by my mother!). My sister and I shucked the fresh picked Iowa corn, our mother set the table and sliced the tomatoes. Returning every summer to Iowa with my husband and 3 daughters, the tradition continued with our girls assuming the corn cleaning duties and all of us listening to stories my dad (their Pop Pop) told of his growing up years on his family’s farm as he grilled. 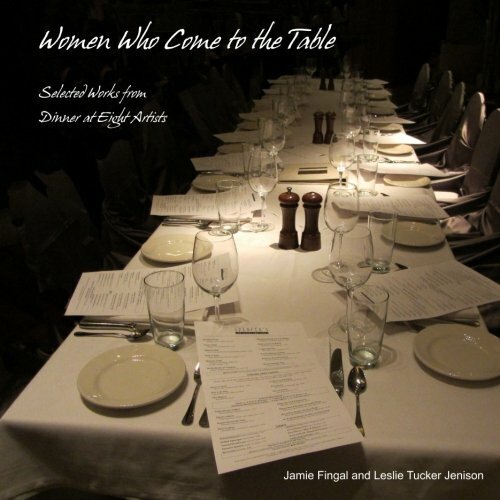 Organized and curated by Jamie Fingal and Leslie Tucker Jenison. Nothing quite like Iowa corn and tomatoes fresh from the farm!